Dr. Kern Wildenthal, who served 22 years as UT Southwestern Medical Center’s second President, has been named President Emeritus and Professor of Medicine Emeritus by the UT System Board of Regents. The honorary appointments, effective Dec. 12, recognize exemplary service while at UT Southwestern, during which time the institution more than quintupled in size and emerged as one of the world’s leading medical institutions. During his tenure, more than 250 new endowed chairs and professorships were established; total endowments grew from $40 million to more than $1.3 billion; land was acquired to expand the campus from 65 to 300 acres; two referral hospitals and outpatient facilities totaling 1 million square feet were added to the campus; and the first half of a planned 4-million-square-foot research complex was completed. Dr. Charles Cameron Sprague, who served as the first President of UT Southwestern Medical Center from 1972 until his retirement in 1986, also was President Emeritus until his death in 2005 at the age of 88. Dr. Wildenthal graduated from Sul Ross College in Alpine, Texas, before being accepted in 1960 at the age of 18 to Southwestern Medical School. After receiving his M.D. degree, Dr. Wildenthal trained at Bellevue Hospital in New York, Parkland Memorial Hospital in Dallas, the National Heart, Lung, and Blood Institute in Bethesda, Maryland, and the University of Cambridge in England, where he earned a Ph.D. He was a Guggenheim Fellow in 1975-76. He joined the UT Southwestern faculty as an Assistant Professor of Internal Medicine and Physiology in 1970 and became an Associate Professor in 1971 and a full Professor in 1975. From 1976 to 1980, he served as Dean of the Southwestern Graduate School of Biomedical Sciences, and from 1980 to 1986 he was Dean of the Medical School. Following his retirement as President of UT Southwestern, he served as President of Southwestern Medical Foundation from 2008 to 2012. Upon his retirement as President of UT Southwestern, more than 300 community leaders and faculty members contributed more than $20 million to establish the Kern Wildenthal Fund to support programs at UT Southwestern. One endowed distinguished chair and two professorships have also been donated and named in his honor. A member of the Institute of Medicine of the National Academy of Sciences, Dr. Wildenthal also holds memberships in the American Society for Clinical Investigation and the Association of American Physicians, among others, and he is an Honorary Fellow at the University of Cambridge in England. He was awarded honorary Doctor of Science degrees by Southern Methodist University in 2006 and by Austin College in 2010. He has been a visiting professor or consultant at more than 60 medical schools, universities, and research institutes around the world, and a visiting lecturer and organizer of conferences in 24 countries. The author of more than 120 scientific and medical papers as well as many articles on health and education policy issues, he has served as chairman of numerous medical and research organizations. 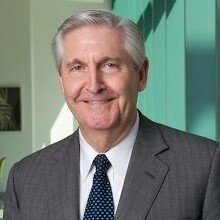 He has chaired the North American Section of the International Society for Heart Research; the Science Policy Committee of the Association of Academic Health Centers; the Basic Science Council and the Science Advisory Committee of the American Heart Association; and the Program Project Research Review Committee of the National Heart, Lung, and Blood Institute. Earlier this year, Dr. Wildenthal was honored by the International Academy of Cardiovascular Sciences – North America Section for outstanding leadership and contributions in the field of cardiovascular education and research. The Canada-based academy established the Kern Wildenthal Cardiovascular Orations in Clinical Medicine in his honor, as part of a program to promote Centers of Excellence and young investigators. In addition to his academic activities, Dr. Wildenthal has served on the boards of the Dallas Opera, Dallas Symphony, Dallas Museum of Art, Dallas Center for the Performing Arts Foundation, Greater Dallas Chamber of Commerce, Dallas Citizens Council, and the Dallas Assembly, as well as numerous local and national foundation and corporate boards. 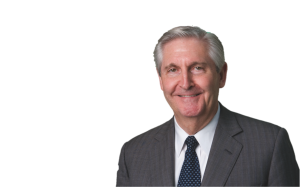 In 2008 he was elected to the Texas Business Hall of Fame, and he was honored in 2009 with resolutions by the Texas House of Representatives and the Texas Senate. Dr. Podolsky holds the Philip O’Bryan Montgomery, Jr., M.D. Distinguished Presidential Chair in Academic Administration, and the Doris and Bryan Wildenthal Distinguished Chair in Medical Science. © 2013. Kern Wildenthal. All Rights Reserved.